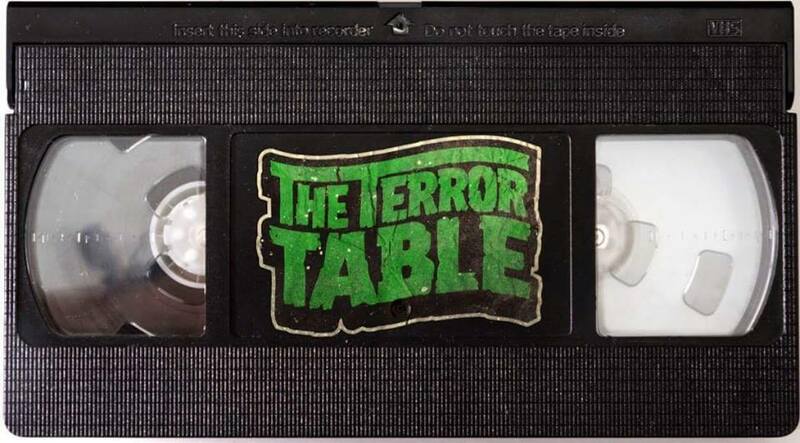 The Terror Table celebrates 100 episodes of the show with messages from our community of T-bags, fond memories of the show as well as our top 10 favorite horror movie lists of 2018. The Terror Table gets in the Christmas spirit with some spooky Christmas tales as well as a discussion on SILENT NIGHT, DEADLY NIGHT. Other titles discussed include - Bendy and the Ink Machine, Within, Childs Play, Krampus, Better Watch Out, Urban Legend, Blue Crush 2, Primal Rage, The Ranger, Searching and Bunni. Other titles discussed in this episode include CHILLING ADVENTURES OF SABRINA, JOYRIDE 2, ELI ROTHS HISTORY OF HORROR and OVERLORD. This week on The Terror Table, Mitch and Buzi welcome the festival director of the Saskatoon Fantastic Film Festival, John Allison. We discuss Johns history with the Horror genre, his time attending and directing film festivals, this years stellar line up of films as well as Johns film pick of the week, Other titles and things discussed in this episode include HALLOWEEEN HORROR NIGHTS, THE CHILLING ADVENTURES OF SABRINA, FRIDAY THE 13th: A NEW BEGINNING, ONE CUT OF THE DEAD, THE DARK.